The best in customer service ! Cheetah and Tin worked really hard to get me into a great quality vehicle . My car was totaled after a youngman ran a red light speeding.. he was found at fault but insurance didnt cover all of my balance and unfortunately i didn't have gap insurance .Carmax and other dealerships didn't want to rollover the remaining amount . (Even though my car was financed through Carmax ) I didn't have a huge down payment I was on a budget.. I went in expecting to hear another no .. But instead they worked with me and got me into a great quality car! 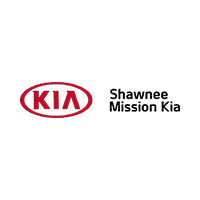 Thank you so much Shawnee Mission Kia! Now im back on the road again!